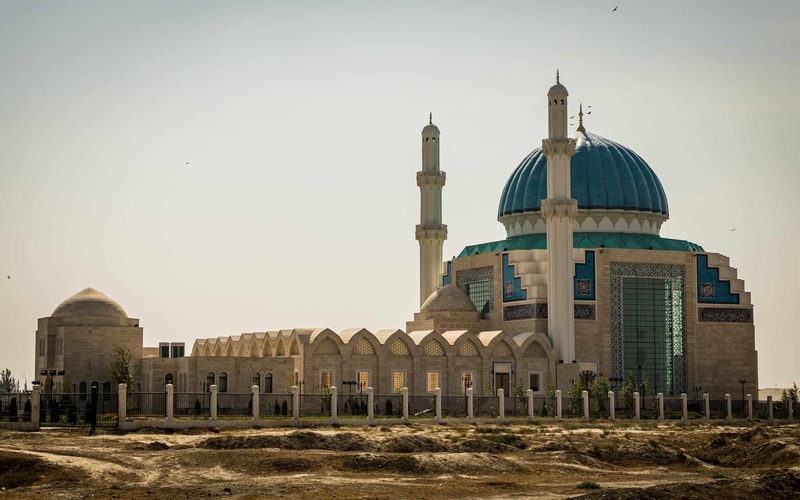 Everything you need to know about visiting Turkistan, Kazakhstan. The overnight train from Almaty rolled into Turkistan on a September evening. The ride had been comfortable, and our fellow passengers had been friendly, even if they didn’t speak English and our Kazakh language skills were severely lacking. 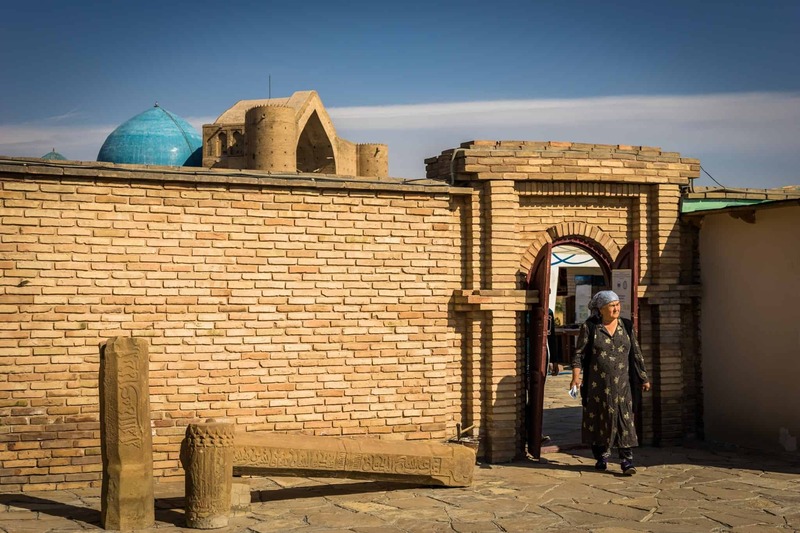 We had been fascinated with Silk Road history along our journey through Central Asia, and with Kazakhstan having just introduced 15-day visa exemptions for Australians* we had decided to make the most of the opportunity and visit some places in the south of the country. *Note – As of January 1st 2017 citizens of 43 countries can now enter Kazakhstan on a 30-day visa exemption. Read more about Kazakhstan’s visa laws here. 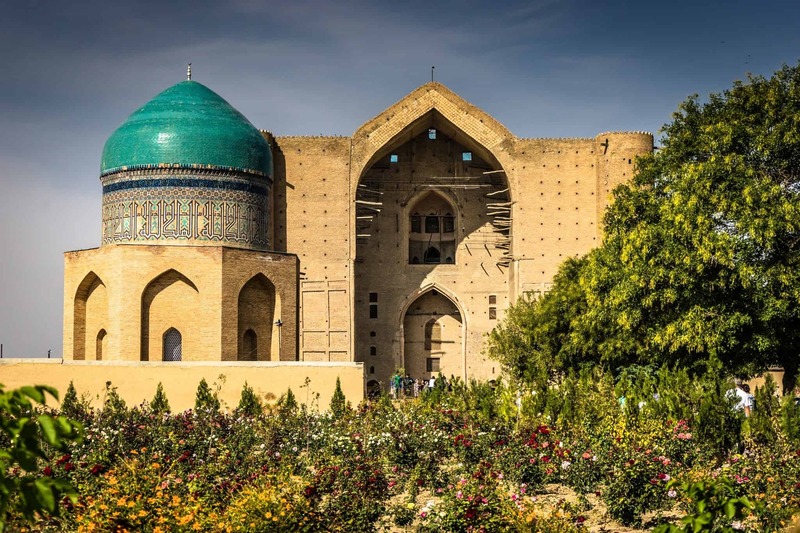 Scattered with ancient mausoleums, intricate mosaics and captivating archaeological sites, Turkistan was a place we couldn’t be more excited for. Once we left the train we jumped onto a local marshrutka to take us the few kilometres into town. We didn’t have a map or GPS, but did have the name of a hotel that came highly recommended from a fellow traveller. Asking around a local pointed us to the eastern end of downtown. Stumbling across Hotel Edem we secured a room for 5000 tenge (US$15) with an ensuite and breakfast, dropped our bags off and immediately hit the bar downstairs for a meal and drink. 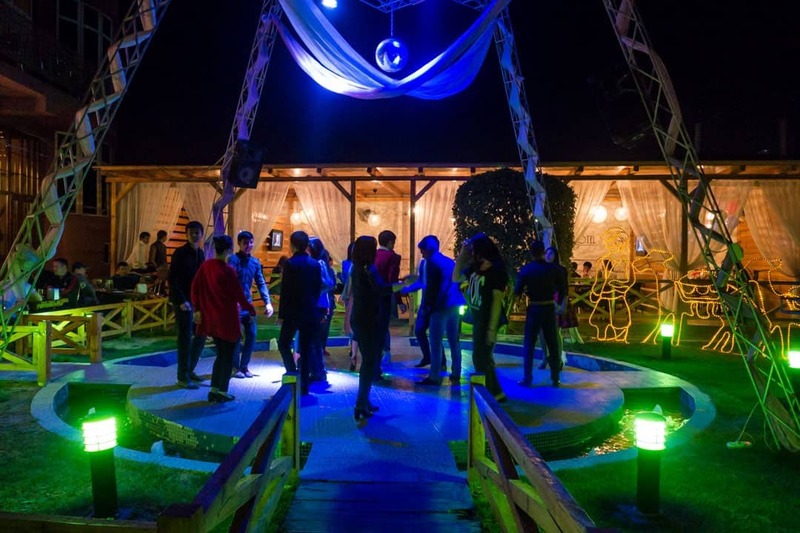 We hadn’t anticipated that Hotel Edem was home to Turkistan’s most popular club, and at about 9pm the dance floor suddenly turned on and scores of young, hip Kazakhs began busting a move. The dance floor at Hotel Edem. Lesh and I eagerly watched on waiting for a song that would get us up as well. But as quickly as the dance floor had turned on, everyone left at exactly 9:15 and returned to their chairs. The music kept blaring, but no one danced. This happened again at precisely 10pm, and again at 11pm. Clearly there was some 15-minute code of conduct for Kazakh dance floors that we hadn’t been told about. Deciding that the blaring Kazakh techno music wasn’t really our scene anyway, we headed to our room, directly above the club, to try and get some sleep for the morning’s exploration. 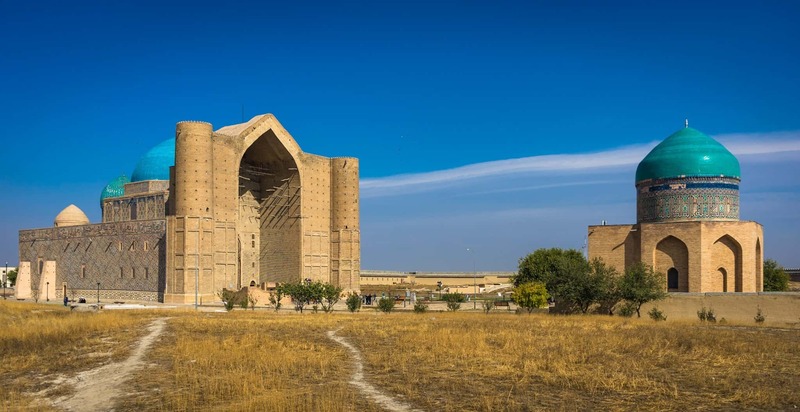 The next day we left the hotel early and made our way towards the Mausoleum of Khoja Ahmed Yasawi, Turkistan’s incredible UNESCO World Heritage Site. 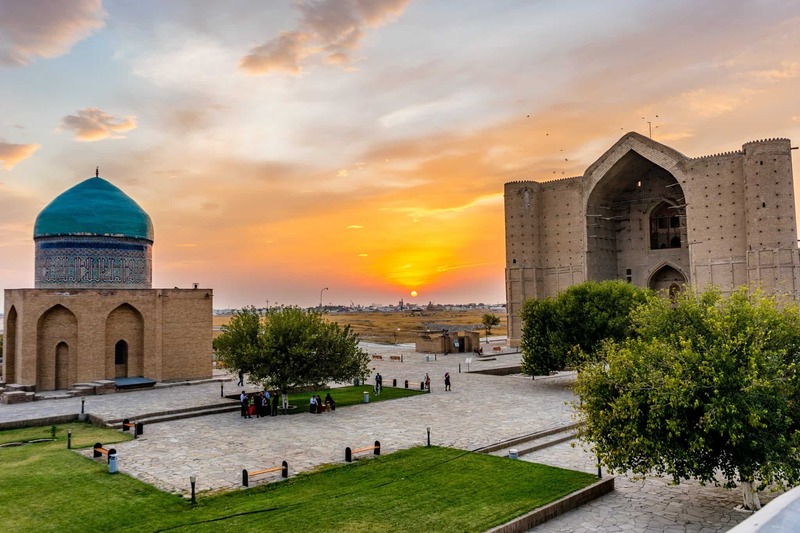 Rising from the fields like a glistening jewel, the Mausoleum of Khoja Ahmed Yasawi is the most important historical site in all of Kazakhstan. 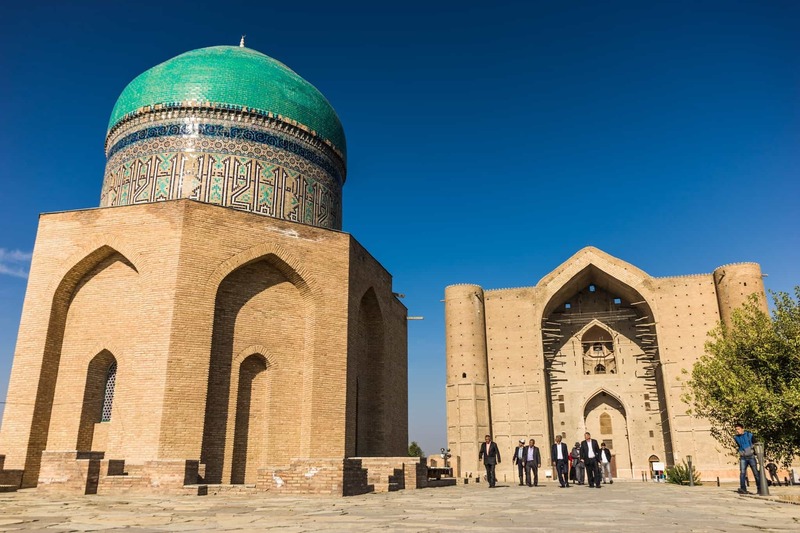 Originally built in the 12th century upon the death of Khoja Ahmed Yasawi, the great poet and regional leader of Sufism, the mausoleum was replaced in 1389 when the conqueror Timur commissioned a new structure to be erected. 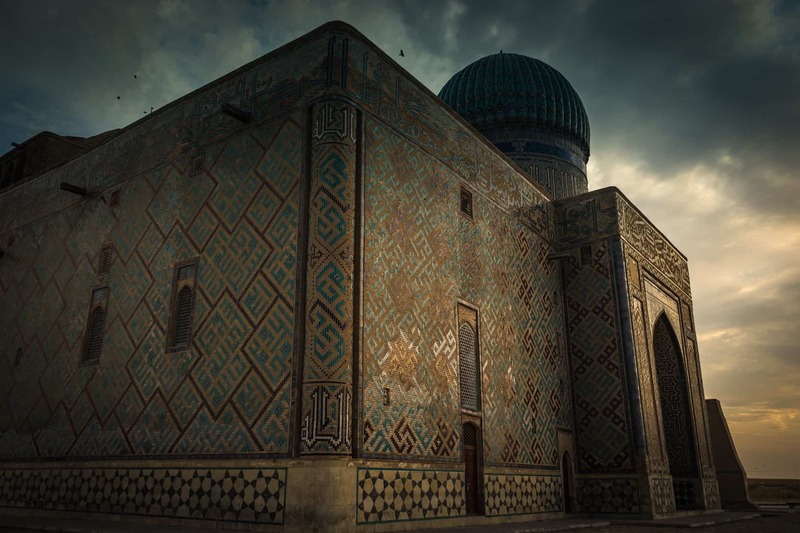 The site was already a sacred pilgrimage site for thousands of people, but when Timur started his new construction it quickly became the new standard for Islamic architecture and captured the imagination of devout followers around Central Asia. Unfortunately it was never finished as funds dried up when Timur died in 1405, but it still remained as a major pilgrimage site. Entering through the immense walls leads into the courtyard, filled with flowerbeds and restored tiles. The main mausoleum dominates the scene, with the huge entrance portal towering above the city. 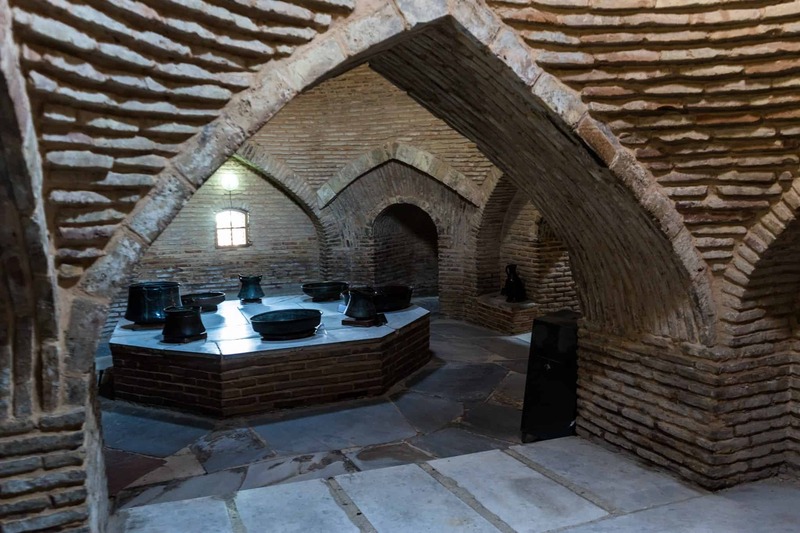 The spectacular bronze cauldron inside the Mausoleum of Khawaja Ahmed Yasawi. We wandered inside and immediately were overwhelmed with the enormous bronze cauldron in the centre of the hall. People walked around the cauldron, reaching out to touch it and pray at its base. Lines from the Quran circled the top and decorative ornaments adorned the centre. Stepping past the worshippers we explored the rest of the mausoleum, being invited to inspect the prayer rooms by smiling locals, and soaked up the ambiance. Exiting the main mausoleum we walked around the outside, pausing to admire the detailed mosaic tiles that are common in Islamic architecture and the beautiful Persian scripts that were painted on the walls. 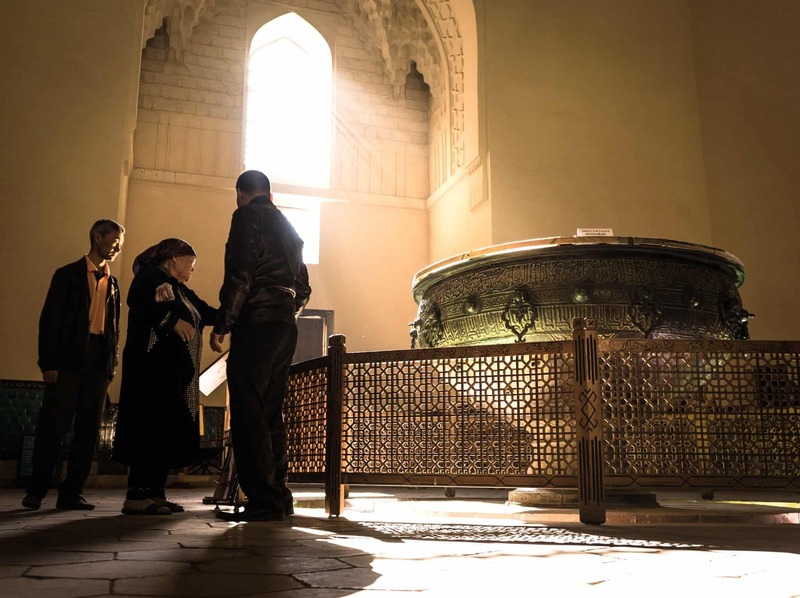 Besides the main mausoleum a number of other sites are found within the grounds, such as the underground mosque, the old bathhouse and the citadel ruins. We made our way to each of them, studying as much as we could about the history of the place. A large crowd gathered by a well near the bathhouse, sipping on the water that was scooped out by a bucket. It obviously held a religious importance to the people, and we felt honoured when a few of them called us over and allowed us to also sample the water. Each building had fascinating displays of ancient urns, archeological digs and historic trinkets, and we spent most of the day wandering in and out of the centuries-old structures. 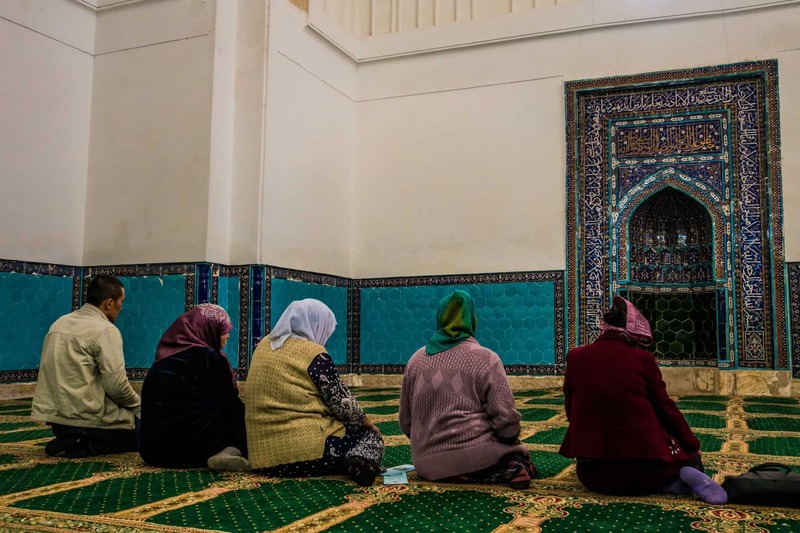 A group of locals praying inside one of the prayer rooms. Towards the back of the grounds the exploration of the citadel was being conducted, and further in the distance the city’s new mosque shined like a bright diamond beneath the pale blue sky. 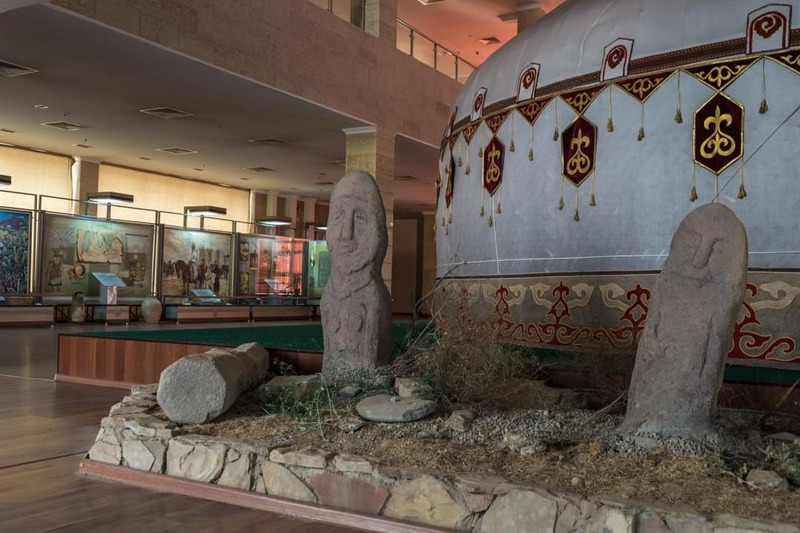 We headed towards the spectacular Historical Cultural Ethnographic Centre next to the mausoleum, paid our 500 tenge entrance (US$1.50) and trekked through the 3 floors of regional folk history exhibitions. Inside the Historical Cultural Ethnographic Centre. With only a brief rest for lunch the day had flown by, and soon sunset had arrived. We made our way to the top of the city walls to wait for the glorious dusk. The sky came alive behind the Mausoleum of Khoja Ahmed Yasawi and we were rewarded with deep hues of purples, reds and oranges as the colours danced their way across the backdrop. 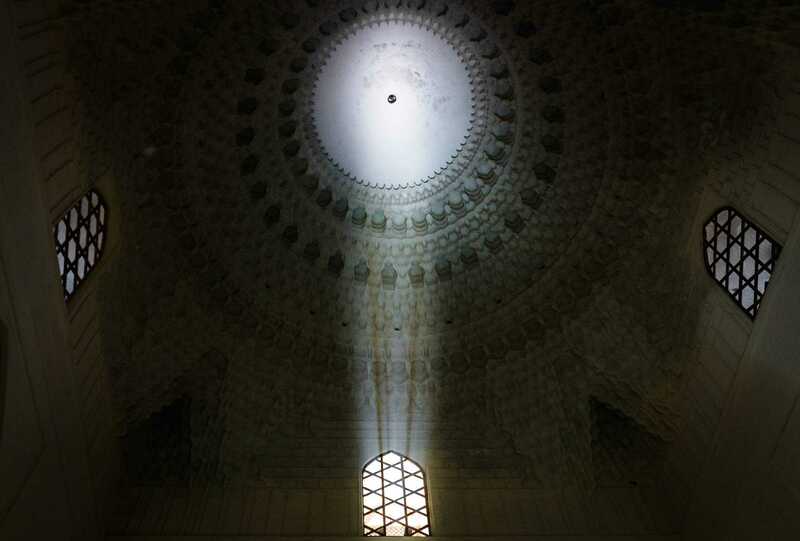 Sunset over the Mausoleum of Khawaja Ahmed Yasawi. With no desire to return to the Kazakh nightclub in our hotel we waited for the lights to come on and illuminate the grounds, but unfortunately they never did. 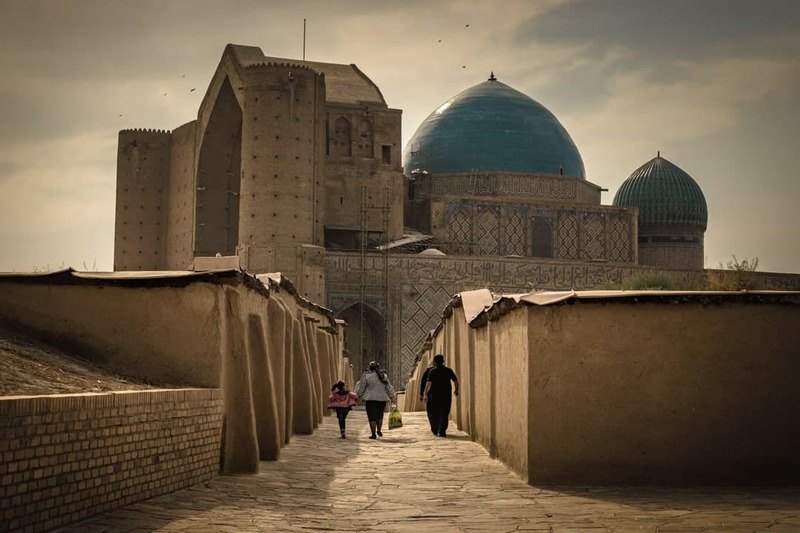 Exploring Turkistan was a true highlight of our travels in Central Asia. 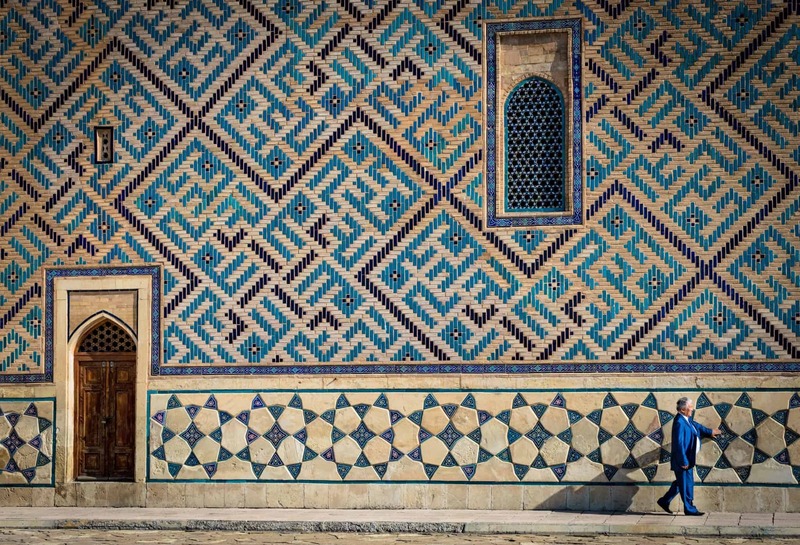 The examples of fine Timurind architecture, while not as awesome as those found in Uzbekistan, was a sensational experience. Turkistan is 165km northwest of Skymkent, 320km north of Tashkent and 850km west of Almaty. It is possible to catch a train from Almaty to Turkestan, which is the option we took. This cost us about US$20 per person for a comfortable 6-person sleeper berth and took 20 hours, leaving Almaty at 22:00. To leave Turkistan we took a minivan to Taraz, and then changed to another minivan to go to Bishkek. We don’t remember the cost for this sorry, but it was very reasonable. 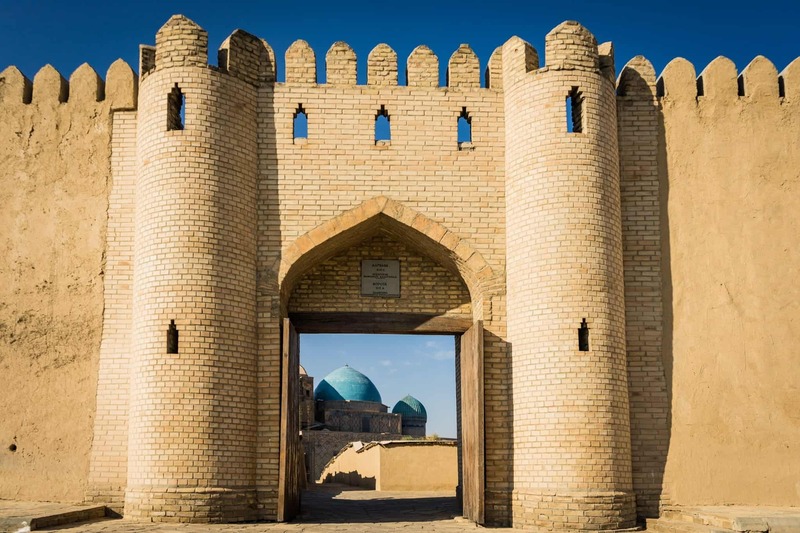 There is also train access to the capital, Astana, and international connections to Tashkent, if you already have your Uzbekistan visa. We stayed at the Hotel Edem, and while it wasn’t the cheapest place in town, for US$15 a night with ensuite bathroom and breakfast included we couldn’t really complain. It also had wifi (not super fast), and the staff were helpful enough. Your photos are gorgeous! I wrote about some of the hospitality of Kazakhstan natives on my blog alongtheway.today. Were people as friendly when you visited as well? These photos are stunning. Especially love the one of the bronze cauldron, with the sun coming through the window. 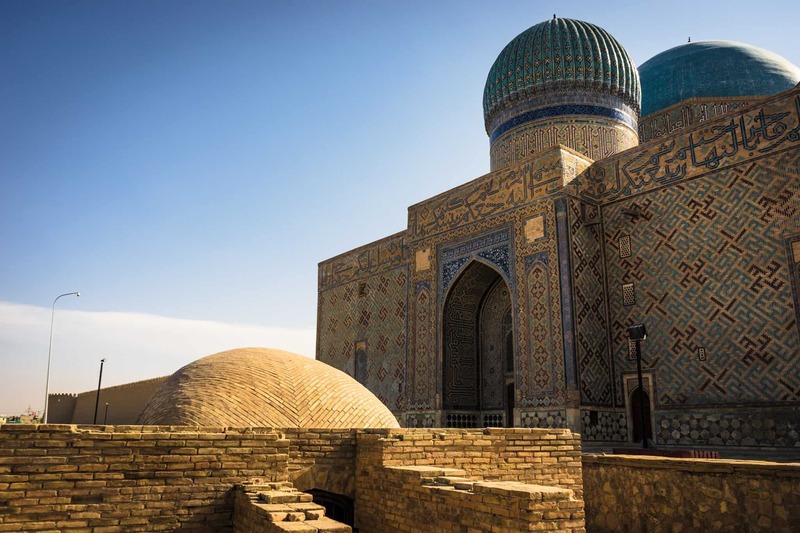 It seems like Turkistan is pretty off-the-radar, even for Central Asia travelers — what made you decide to go there? Awesome post! I m planning a trip to Kazakhstan, so it is great to find your post to get some inspiration. The photos are so beautiful! I m excited to explore this part of the World. Thanks for sharing your adventures. Hi Barb, it is a beautiful country. We wish we had more time there. We loved exploring Turkistan and the people were so friendly. Give yourself a couple of days. If you have some spare time head into Kyrgyzstan also (Bishkek, Karakol, Jurgalan). Amazing country also. Happy travels. Thank you for your travel logs. You visit very interesting places on this planet and allow me to enjoy it. Please keep safe and healthy.